Enjoy your favorite 19th Hole beverage in this personalized Polar Camel tumbler! 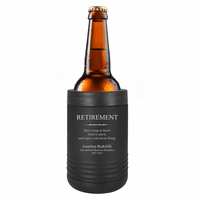 It's black matte stainless steel, with double-wall construction that provides 2x heat/cold resistance than plastic tumblers. 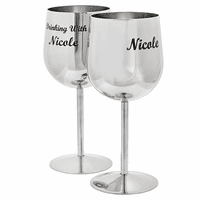 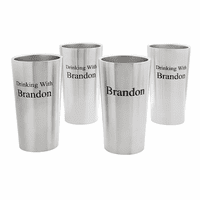 It has a clear plastic lid and a narrow base that fits in most cupholders. The front features our Golf Ball artwork and laser-engraved text that reads "The 19th Hole", with room for up to 6 lines of free engraved text below it. 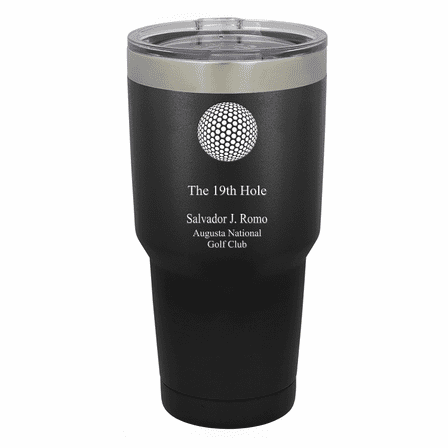 This tumbler comes packaged in a gift box, great for surprising golf buddies, co-workers, friends and family!